We know that caring for a loved one who is living with dementia can be an exhausting and isolating experience. Come along and meet out family support worker and other families in similar situations. We are really pleased to be able to offer those living with dementia a place where they can come and spend some time with others who understand. 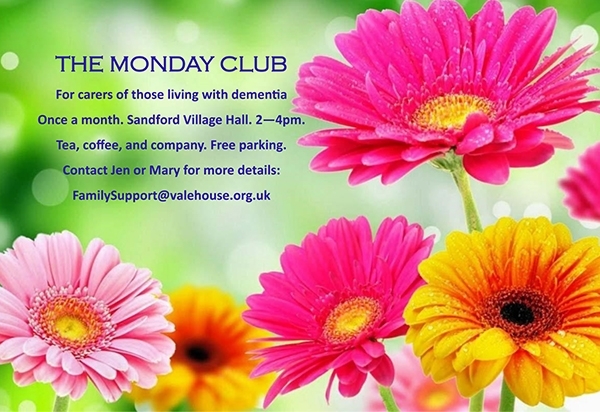 The Monday Club usually takes place on the last Monday of every month. In those months with a bank holiday at the end of the month, the club takes place on the previous Monday.